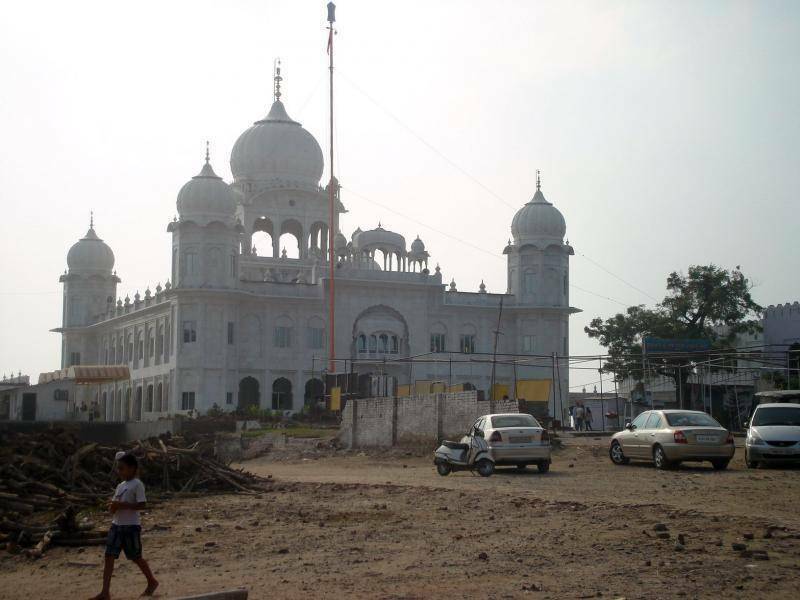 Situated in the Panchkula district on the banks of river Ghagar, Gurudwara Nada Sahib, is at a distance of 15 kms from Chandigarh. It is believed that after the battle of Bhangani with the Mughals in 1688, Guru Gobind Singh along with his victorious fellow Sikh warriors had stayed here, while on their way back. During the stay, Guru Gobind Singh and his army were taken care of by Babu Nadu Shah. Guru Gobind Singh was pleased with Babu Nadu Shah’s services, he blessed him and named the spot after him. This place, as such, holds huge reverence for Sikhs. Lakhs of worshippers visit the Nada Sahib Gurdwara on full moon day (Pooranmashi) of every month. The Gurudwara also holds Jor Mela, in September every year, in the memory and honor of Guru Teg Bahadur, Banda Bahadur and Dargahi Shah Faqir. Religious gatherings and community meals take place every day. A spacious new building has been constructed along with huge three storey parking and a Langar Hall. Soon the Gurudwara will also house a museum tracing the history of Sikhism.